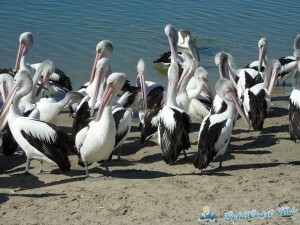 Pelican feeding is daily at 1.30pm at Ian Dipple Lagoon, 371 Marine Parade Labrador. Free 2 hour parking spots. 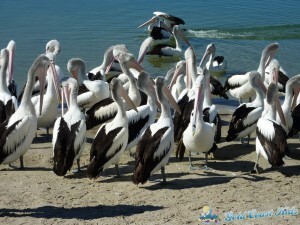 Arrive a little early to catch the pelicans gathering before feeding time. 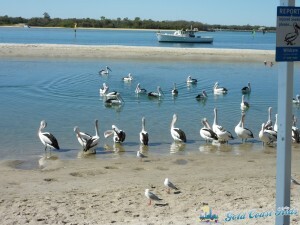 Pack your swimmers and a picnic lunch, BBQ supplies or enjoy take away from Charis Seafood. To be honest, when I was given this review assignment, I had never heard of the pelican feeding at Labrador. 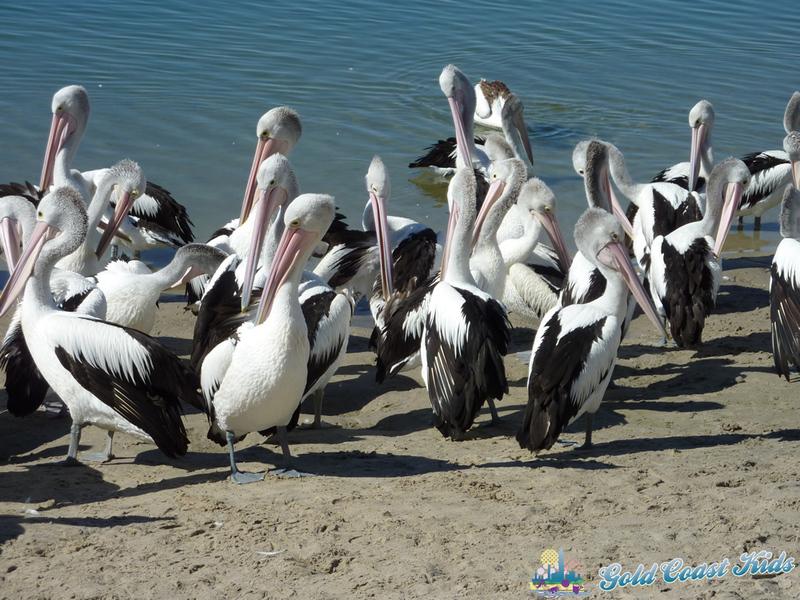 After a quick search on the internet and asking a few of my Gold Coast friends, I soon found out that the Ian Dipple Lagoon at Labrador is quite well known for its daily pelican feeding. 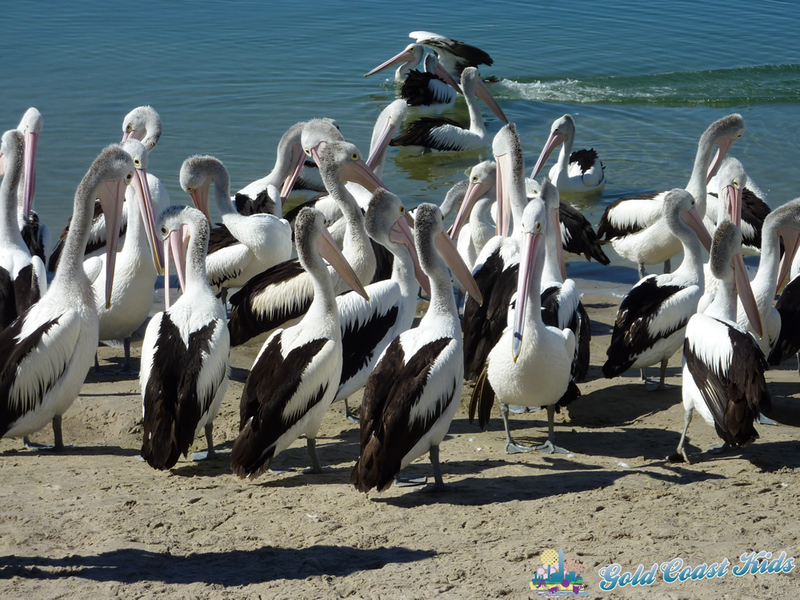 At 1.30pm every day, hundreds of Pelicans assemble on the beach where the staff of Charis Seafoods throw out their leftover fish, to feed the Pelicans. 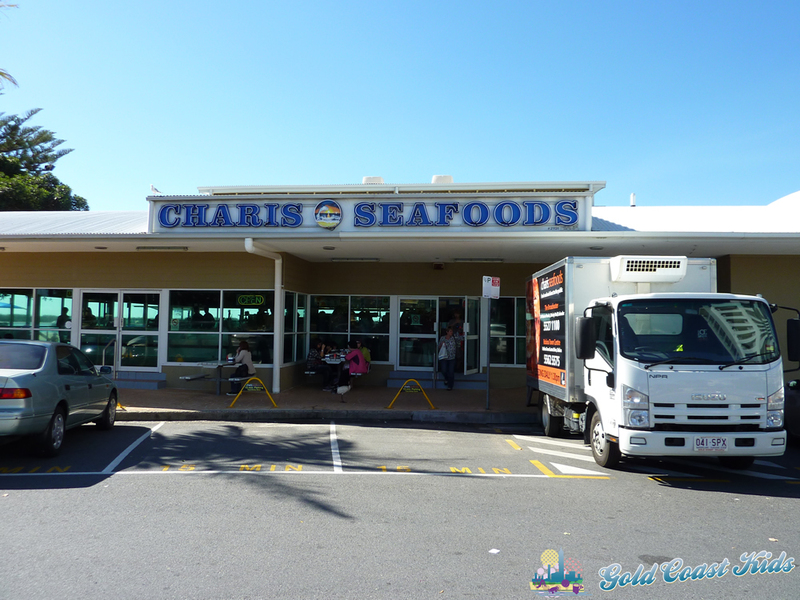 Charis Seafoods is situated right in front of Ian Dipple Lagoon at 371 Marine Parade Labrador. We arrived a little before 1pm. 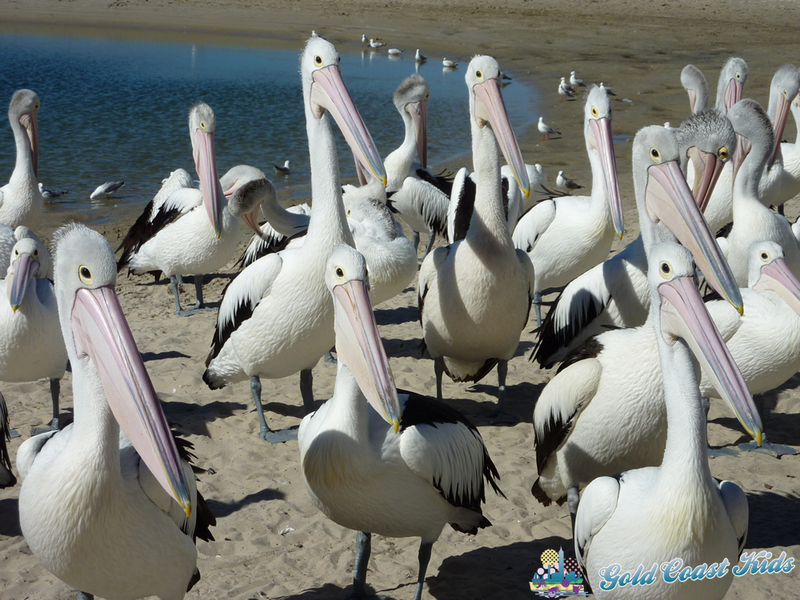 I had been advised to get there a little early as the Pelicans start assembling a little earlier in anticipation of their 1.30pm feeding. 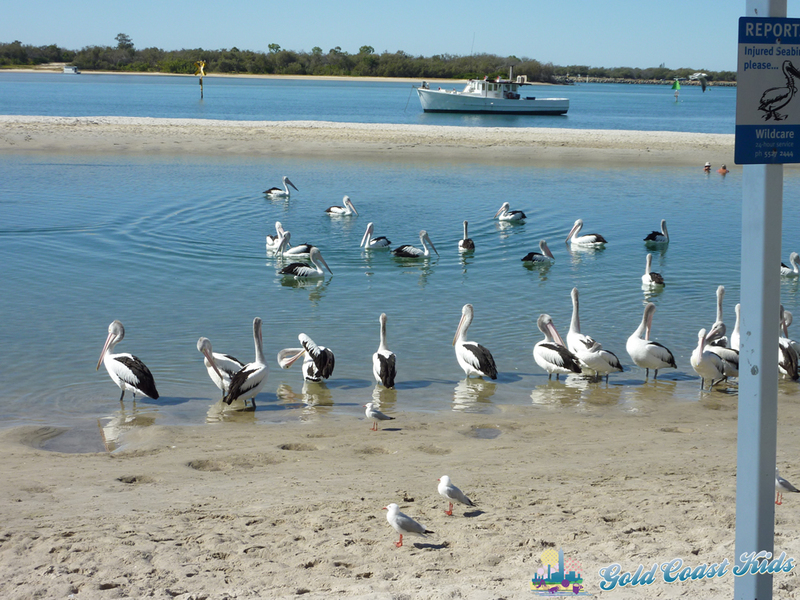 It was such a spectacular sight to see these magnificent big birds flying in and landing on the lagoon before waddling up onto the beach to await their feast. 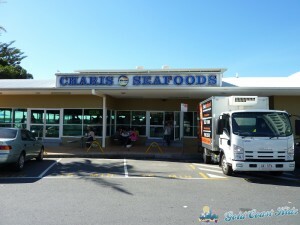 Charis Seafood opened the back window right on 1.30pm and one of their friendly staff members appeared, armed with the bucket loads of fishy leftovers. 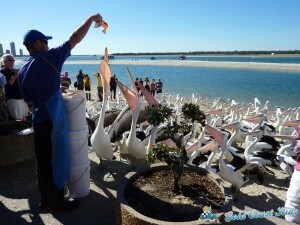 The staff member throws out the fish remains to the pelicans and it is amazing to watch them all scurry to grab the fish. 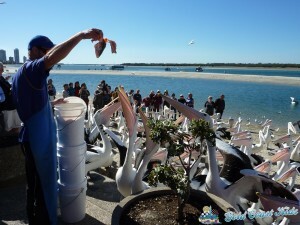 It is also fascinating to see how the pelicans devour their food. They can bend their beaks right back to snap the fish up and you can actually see the shape of the fish slowly making its way down their throat pouch. 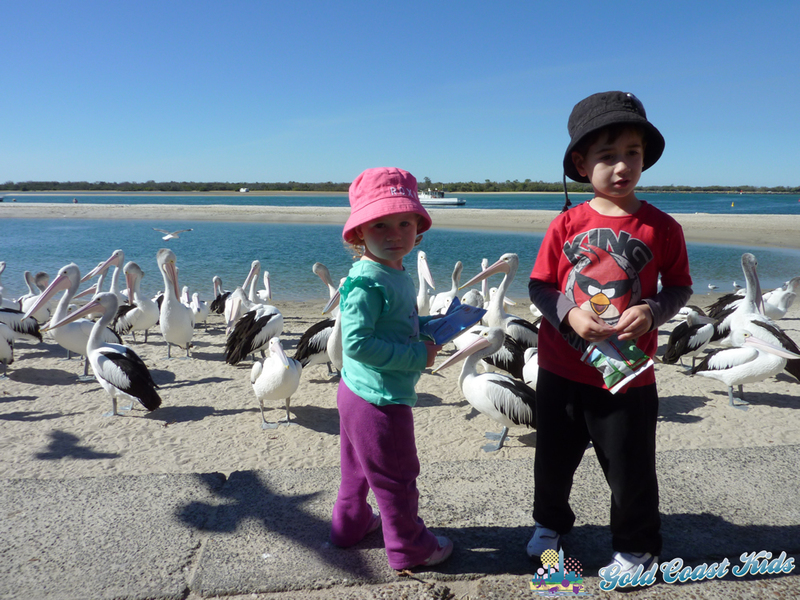 My kids really enjoyed being able to see the pelicans up close and seeing so many of them was “awesome” in the words of my son. 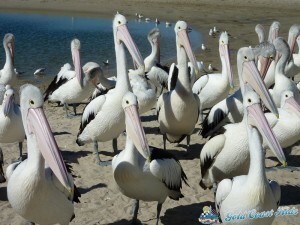 The pelicans were certainly not intimidated by the crowds of people and put on a great show! 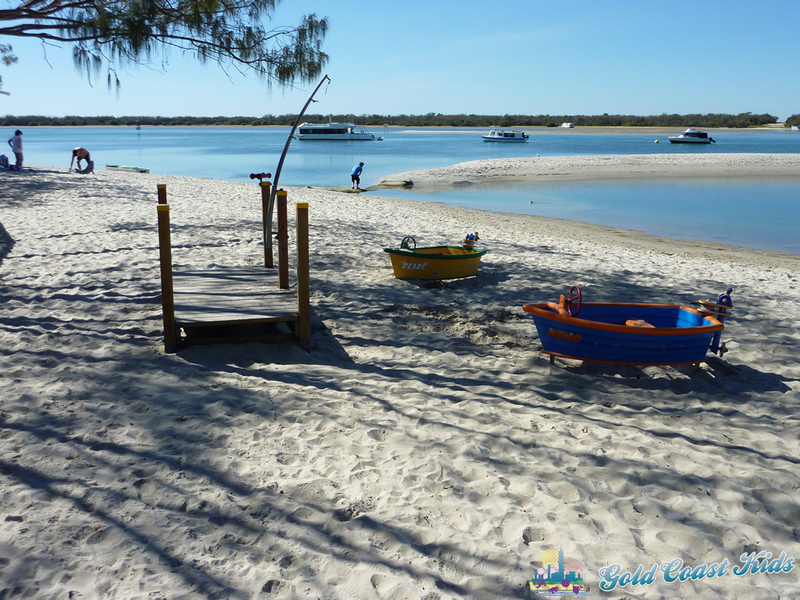 The Ian Dippler Lagoon is a sandbar protected swimming area, which is the perfect place for the family to enjoy a nice swim in the shallow waters, or play in the sand when the area is not being invaded by the scores of pelicans around feed time, so be sure to pack your swimmers, towels and sunscreen if the weather is fine. 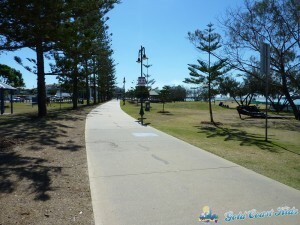 If you have room in the car, you could always throw in the bikes and/or scooters and enjoy a nice ride along the beachside fitness path. 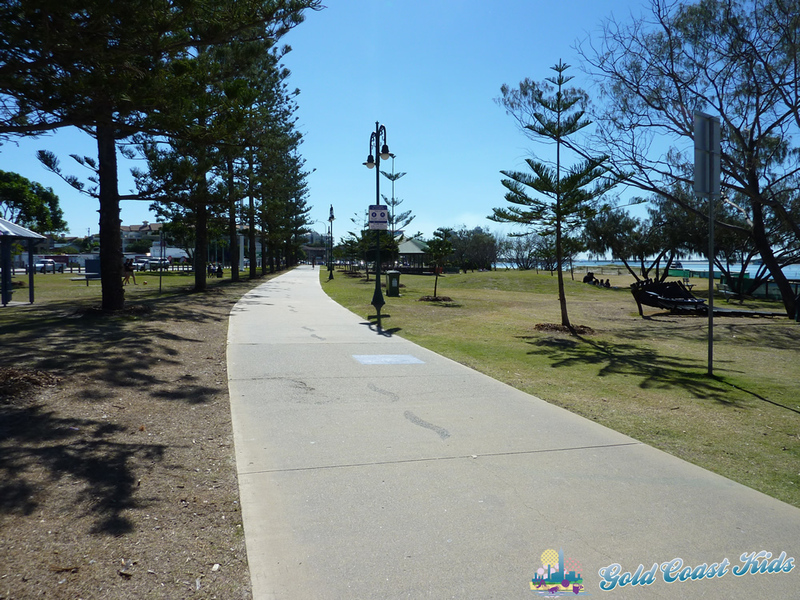 Or perhaps pack the walking shoes and enjoy the beach views. 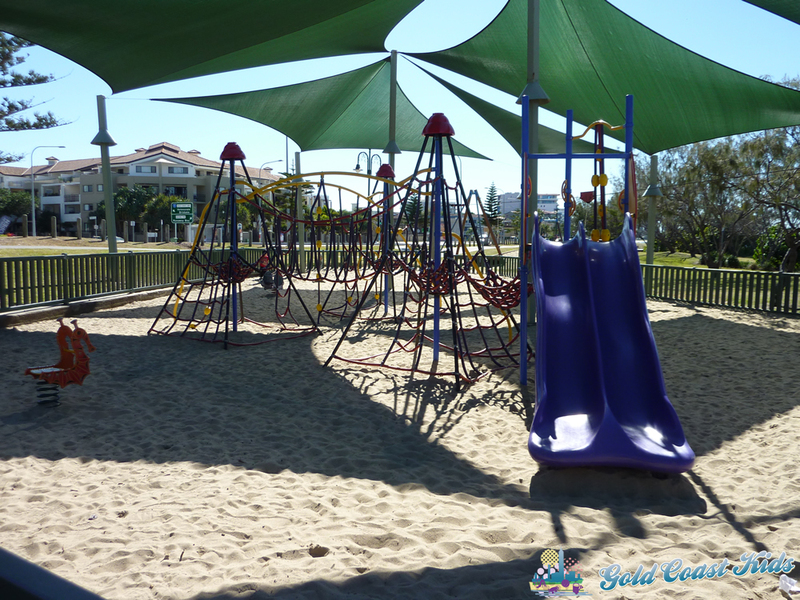 The parklands feature 2 fully fenced, shaded playgrounds. One right in front of the Ian Dipple Lagoon, and the other located a short 2 minute walk along the fitness path. 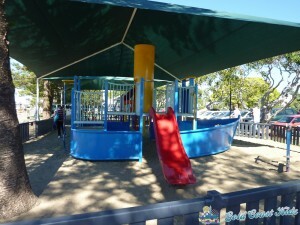 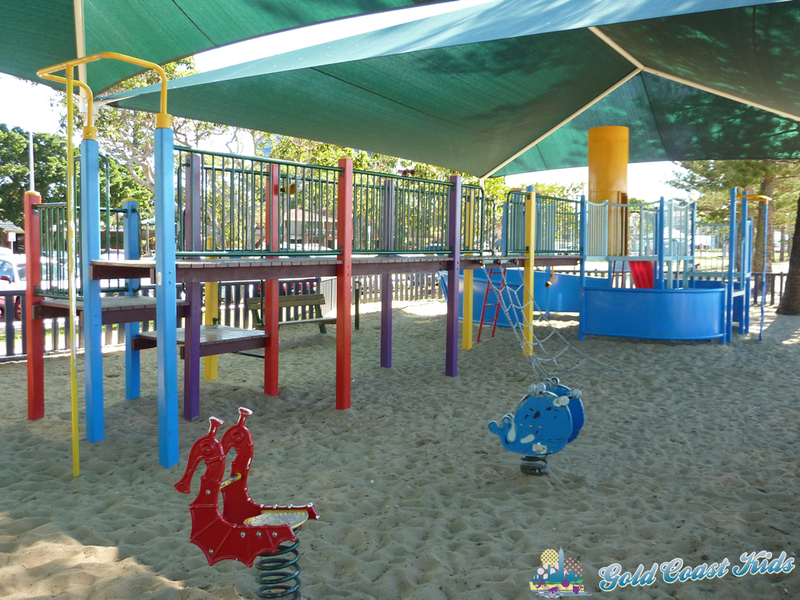 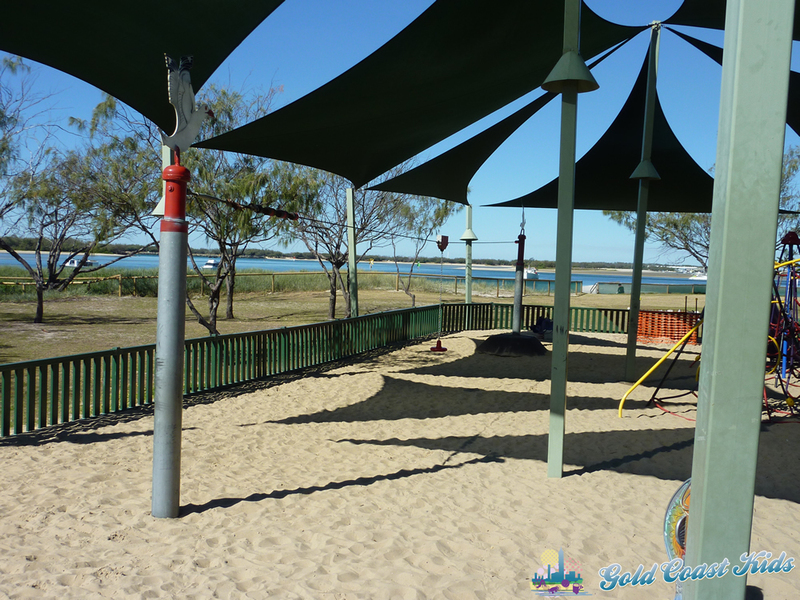 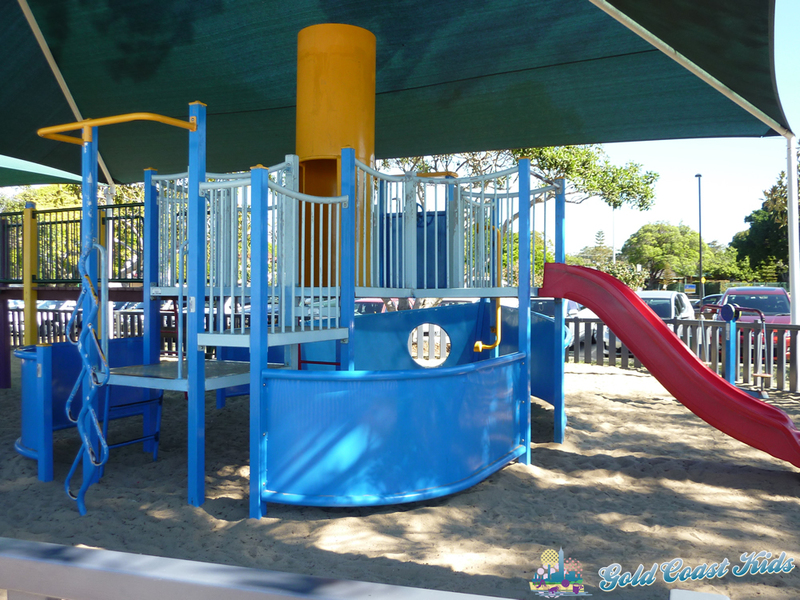 Both are fantastic play areas, with one playground featuring flying foxes, slides, rockers and a huge climbing frame, while the other features a big sunken boat themed play area with slides, rockers and swings. 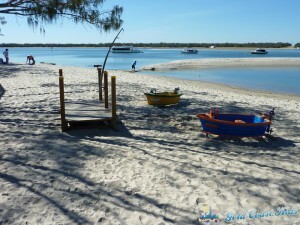 There is also 2 little play boats situated on the beach which is a real hit with the little kids! 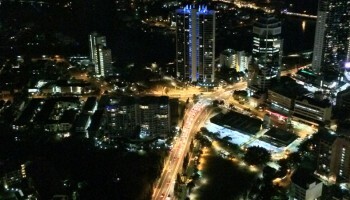 My kids really loved all the play areas and the variety of activities that the area has to offer. 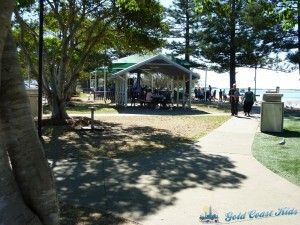 One of the great features of this area is there is plenty of shaded areas. There are shade sails on the beach, plenty of covered picnic tables and eating areas, lots of shady trees and both of the playgrounds are fully covered too. 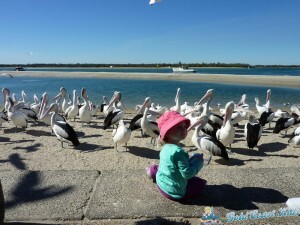 The pelican feeding attracts many locals and also tourists, and although there are plenty of carparks out the front for free 2 hour parking, it would be advised to get there a little early to ensure you get a good park, especially if you are not familiar with the area. 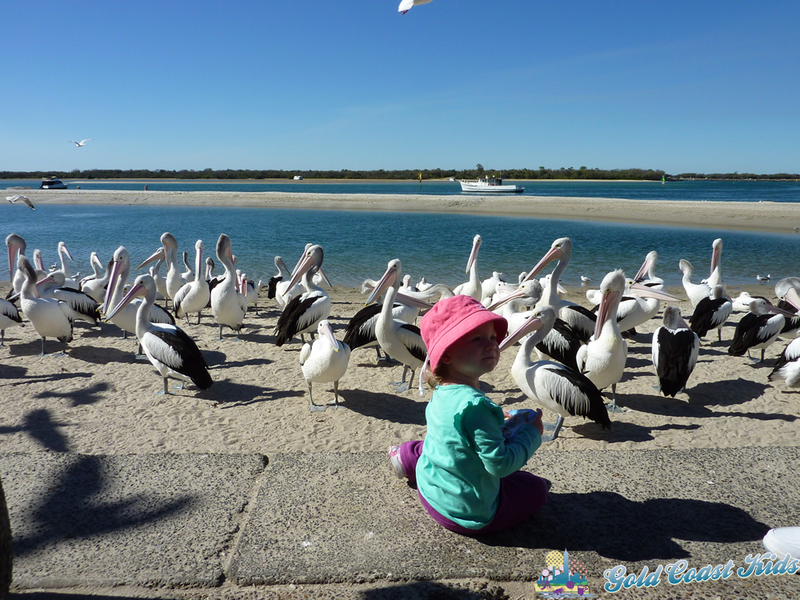 Also, a word of warning, with so many birds flying around overhead it is advised to watch out for birds doing their business. 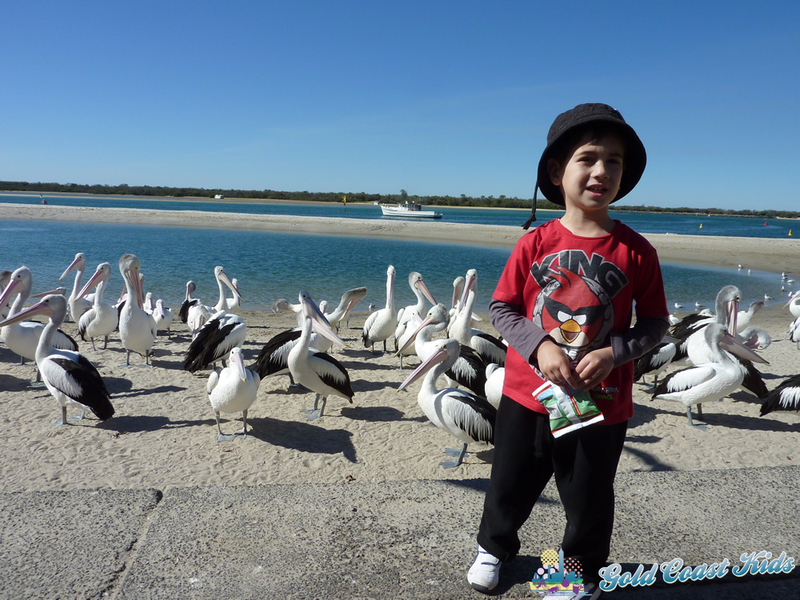 My poor little boy was one of the unlucky ones to cop a bit of mess on his hat and pants from one of the seagulls flying above. 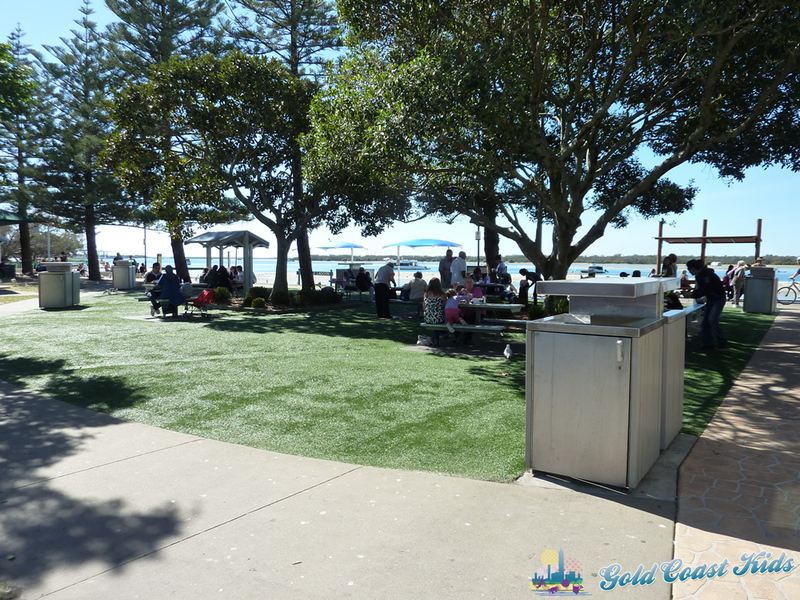 To make the most of the experience I would recommend taking a packed picnic lunch along, or pack some sausages to cook up on one of the BBQ’s in the park or you could buy some takeaway lunch from Charis Seafoods. 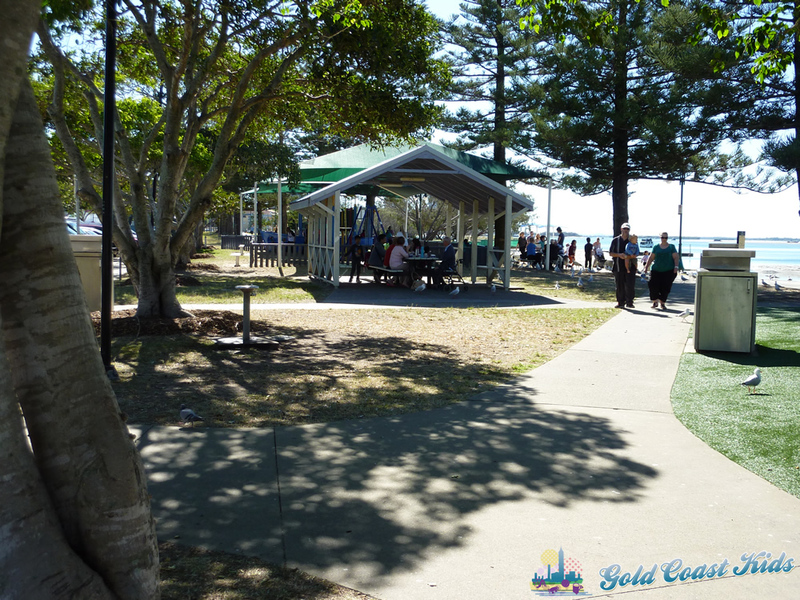 As previously mentioned, there are plenty of shaded picnic tables, benches and areas to sit down and enjoy a bite to eat after going for a nice swim or play in the parks before the pelicans start assembling for their feed. Overall, the kids and I really enjoyed this experience! 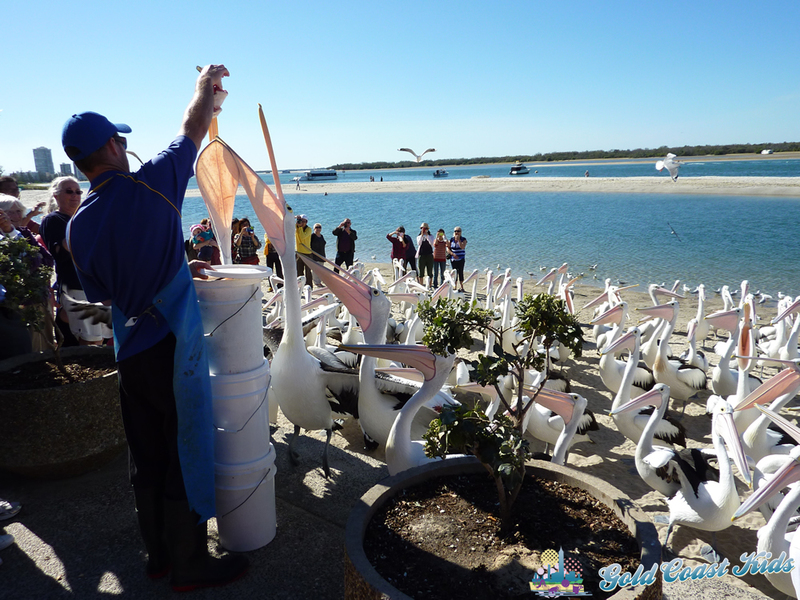 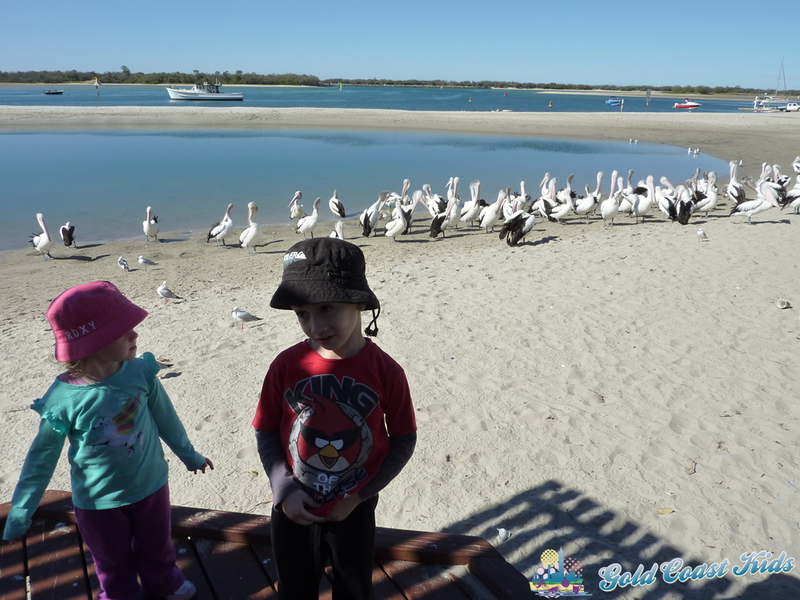 Watching the pelicans being fed was amazing and the park and Lagoon offered so much for us to see and do!